Who has fond memories of partying in their youth? Most of us. Late nights, good friends and many shots. But something strange happens when you get a little older. Whether it’s a more demanding job, parenting or just our bodies aging, partying into the morning stops sounding like a blast and more like a flu-like nightmare. Somewhere along the way we start preferring bedtime rituals, a relaxing cup of tea and a good TV show to sky-high bar tabs. But that doesn’t mean special occasions for parties don’t come up, and you can’t still enjoy a good shot or two, especially if it means chilling at home with your friends while you do it. And if that’s the case, you might as well make your own deluxe drinks. 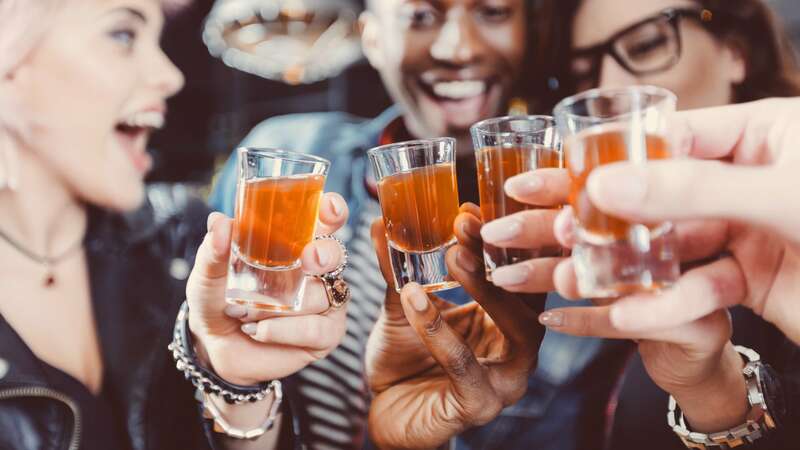 It’s actually really easy to make your own club-style shooters, and your friends will be duly impressed, especially when they don’t have to look at their credit card slip in the morning. Whether you take your shots fruity or prefer something that will put a little hair on your chest, there’s a shot here for everyone. Just remember to drink responsibly!